14 | July | 2009 | J&A + fun! 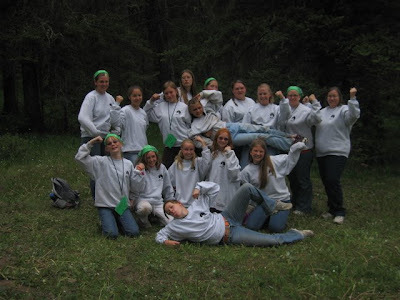 In June I went to Girl’s camp as an Adult leader of all things! I guess that means I’m officially an adult! 🙂 I got to work with the 1st years and we had a ton of fun! 7 of the 9 were from our ward but since I’m relatively new to the YW program in our ward I didn’t really know the girls too much going in. I had a blast getting to know them and girl’s camp was great! I did miss my family a lot though and was super happy to see my girls when I got back! 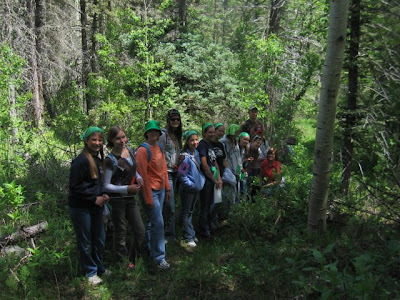 First years have to go on a 3 year hike for their certification! Here we are on our way back to camp! 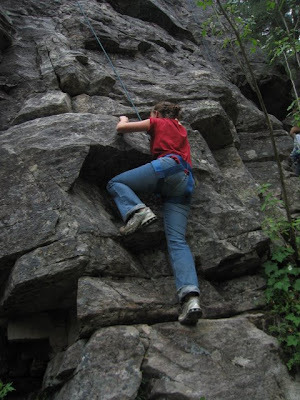 The high adventure this year was rock climbing because the camp theme was “Rise Above”. Bonnie Cardon gave a great presentation to the girls about how rock climbing goes along with the YW values. I didn’t get a copy of her bookmark so I can’t include it all here but I will have to track one down because it was a really good thing for the girls to hear. Anyway, here is one of the Junior leaders on her way up the mountain! 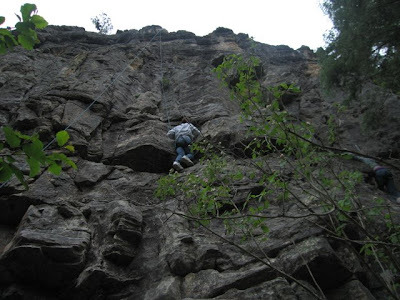 Here’s on of the entire cliff! I wish I could say that is me! But I didn’t get a chance to go this time! The Cardons said they would have another night so that the leaders could go! I should probably start lifting weights now because I’m not as strong as those 12 year olds (not to mention I’m dragging a lot more weight up the mountain! haha). So the stake leaders set up a water activity for the girls. They told them to play a game where they passed the water balloon back and forth using these towels. 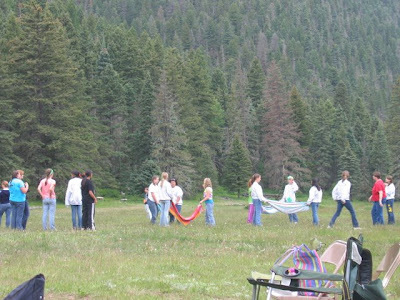 Then the priesthood leaders that were there got out a balloon launcher and launched balloons at the girls from a far. It was funny to see how long it took for the girls to realize where the balloons were coming from and then all out war started!! 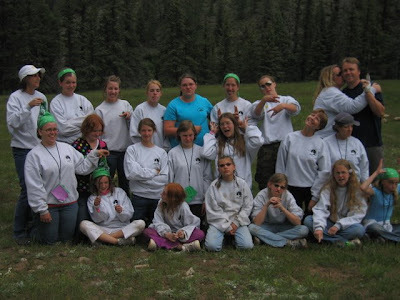 Here is a picture with the Los Alamos ward girls and leaders! And here is the 1st year camp and leaders! So much fun! !